I picked up some green tomatoes from the farmers market and figured I’d try my hand. It was actually my first time ever having green tomatoes and making them. I have to say I’m pretty happy with how they turned out. They were especially good on the BLT with roasted garlic basil mayo. Hope you guys enjoy! Slice tomatoes about 1/4 inch thick and sprinkle with salt and pepper. My tomatoes were fairly small so I got three slices per tomato. Combine buttermilk with hot pepper paste and whisk to combine. If you don’t have Gochujang you can use hot sauce it sriracha. Set up your breading station with flour first, the buttermilk mixture, followed by the panko. Dip tomatoes in flour, shake of excess then dip in buttermilk mixture. Lastly, cover in panko. Add oil to a medium skillet, enough to cover half of the tomato. Heat oil to about 350 and add tomato slices. Working in batches so that you do not over crowd the pan. Cook tomatoes 2 minutes per side. Drain on paper towel and sprinkle with salt after removing from oil. Serve tomatoes with a little roasted garlic basil mayo or combine the two to make a BLT. Combine all ingredients and mix until roasted garlic is fully incorporated. Season with salt and pepper. Chill until ready for use. 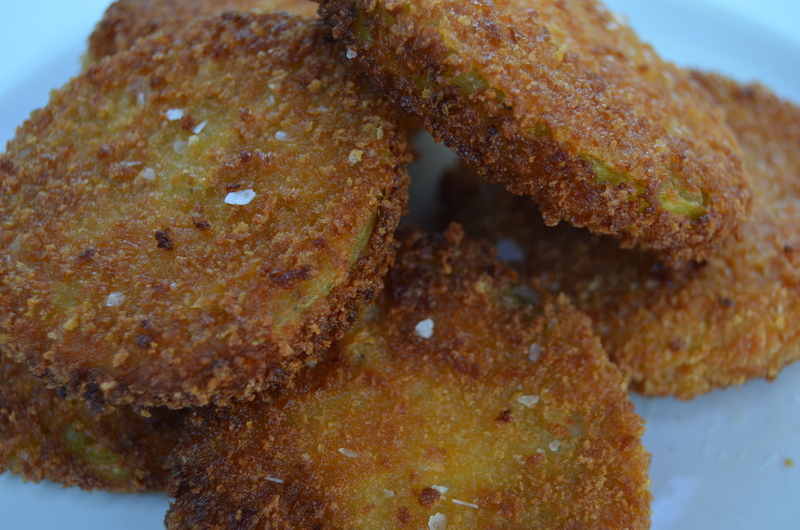 I need to try fried green tomatoes. This is the 100th time I am seeing them now!